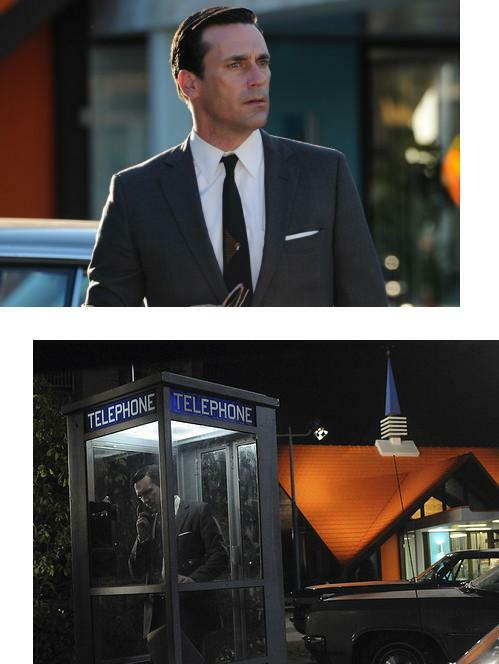 Vintage Close Up – Mad Men at the HoJo | The Eye of Faith Vintage 11.11.11. If you’ve ever had the pleasure of staying at a Howard Johnson, you undoubtedly recognize that sense of comfort you automatically feel when you hear the ring of that iconic name. Created in 1925 by Howard Johnson himself, a $2,000 loan would help open a small drugstore/soda shop. The quick thinking entrepreneur would soon find huge success with ice cream recipes developed by Johnson himself that would catapult the Howard Johnson name to the tips of the tongues of America. From ice cream, the Howard Johnson name soon founded restaurants all across the United States, becoming the largest restaurant chain in America. Furthering their name in American comfort and charm, the brand soon began opening Howard Johnson hotels all across the highways of America. This week’s episode of Mad Men capitalizes on this icon of nostalgia. 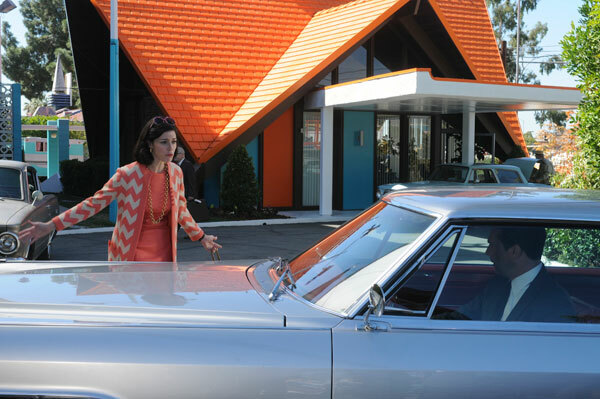 When Megan and Don Draper find themselves at a Howard Johnson restaurant and all of it’s kitschy retro glory, ironically the famous ice cream doesn’t sit well with uber-current and cultured Megan. She finds the orange sherbert tastes like perfume. Don thinks “What does she know? !”, and get’s weirdly defensive. Poor guy. It’s easy to see Don’s obsession with it all. 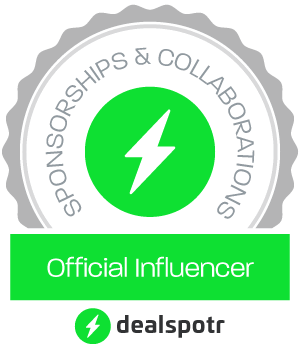 A character like Don, who’s every fiber of being is his success with marketing, can’t NOT believe in this world. Howard Johnson epitomizes everything that is true America. 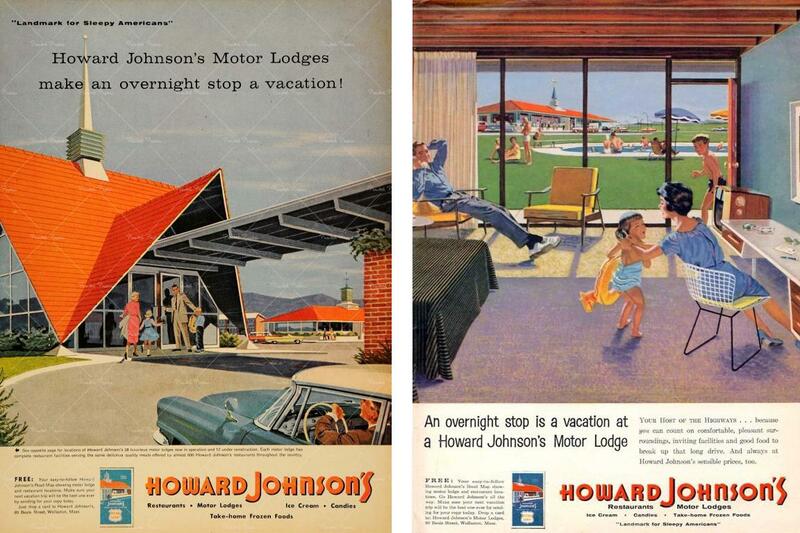 An every man’s fateful success story, Howard Johnson epitomizes this American Dream. A dream so many men, including Don, find themselves mindlessly chasing at the expense of those closest to them in their lives. Is it worth it? Just ask Don.